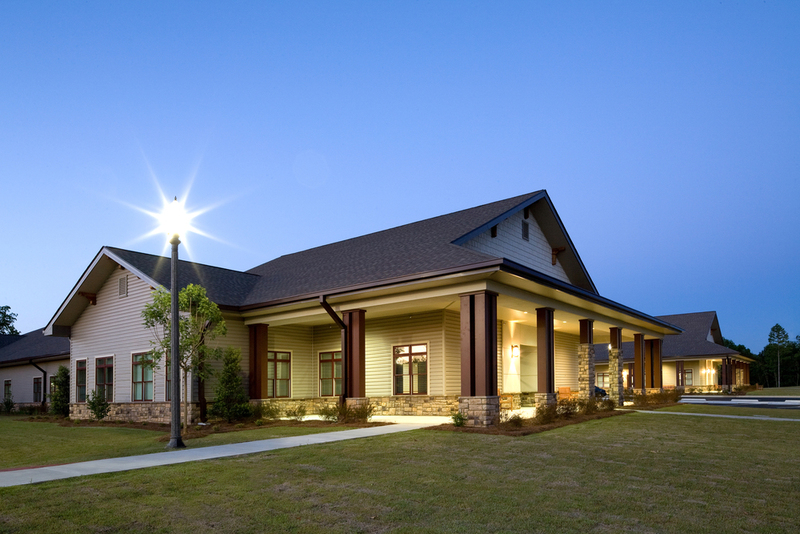 This project is a 136-bed, free standing facility and is the skilled nursing component of a planned senior care campus at the Oaks on Parkwood. 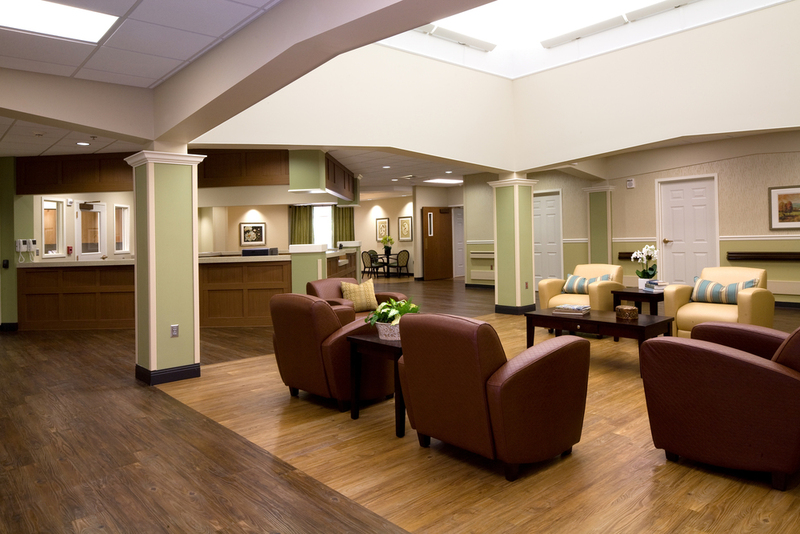 The facility provides distinctive design for each of the rehabilitation, medical and dementia care wings. Secure outdoor courtyards are provided for memory impaired residents. Each component of the nursing facility is supervised by centrally placed nurse's stations with all required support areas.